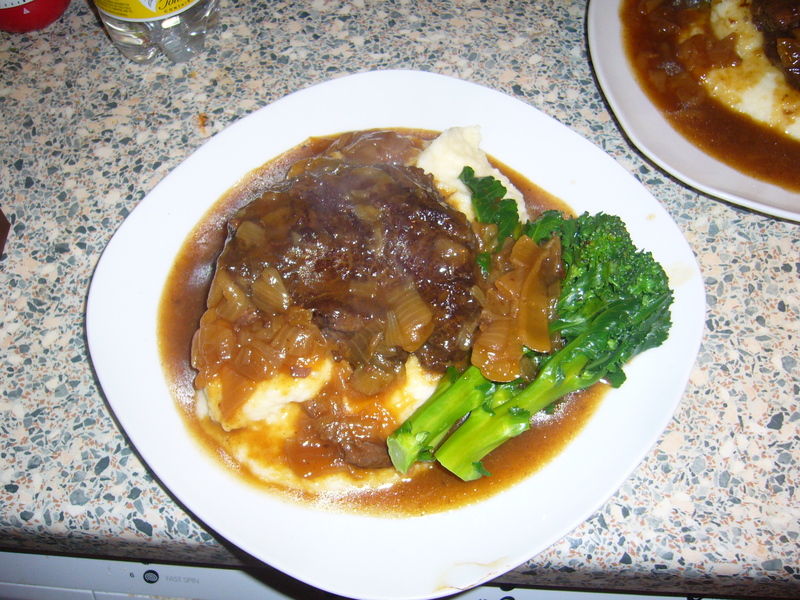 I tried braised ox cheeks a few weeks ago in a really lovely pub The Man and I went to with some friends. They were incredibly tender and very rich and came served with smoked mashed potato, perhaps I should have gone back to the pub to eat it again, but no I decided to try it at home. Braising the ox cheeks was quite straight forward, as a hard-working part of the animal they need long slow cooking, so they ( one each) went in the oven at 150° for 3 1/2 hours with a roughly chopped onion, a mixture of vegetable and chicken stock and a slug of beer. Now for the mash, man oh man, I googled this and most recipes suggested smoking you potatoes a day in advance and I’d left it far too late but one recipe suggested smoking the milk ( haha). So I cut open one of the smoker bags The Man’s Mum gave us for Christmas; lined a pan with tin foil, wood chips on top, milk in a bowl on top of that, popped it on the heat untill the wood chips began to smoke and then popped a lid on until the milk was suitably smokey (very vague I know and is probably personal taste) and them added it to the potatoes as I mashed them. In the end it was delicious, if time-consuming. Ox cheeks are a great cut of meat, very cheap and incredibly tasty, although previously looked down upon as a cheap cut and classed as offal which can make people squeamish. The mashed potato was awesome but very time-consuming to make so I have bought some liquid smoke to make the whole process faster and tastier.